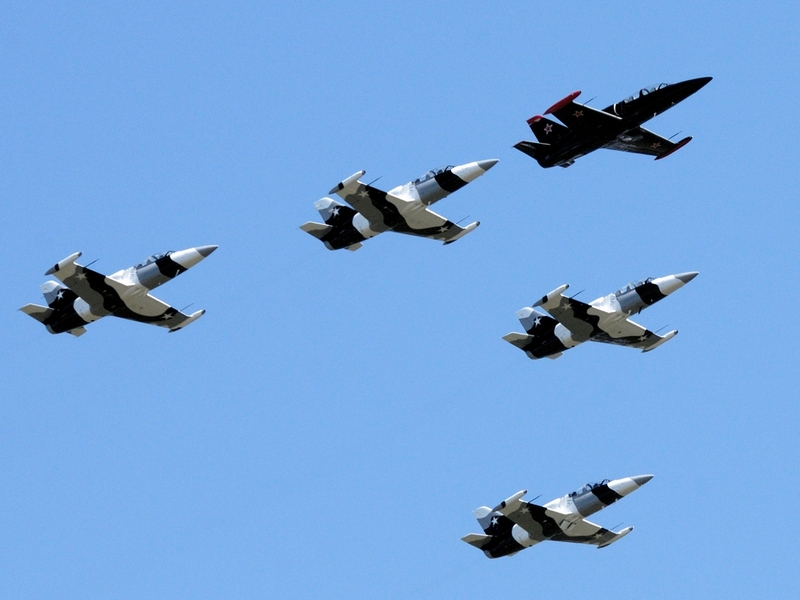 This weekend, the Florida International Air Show rolls into town. I went over to the airport today to see what might be going on that could be worth photographing. 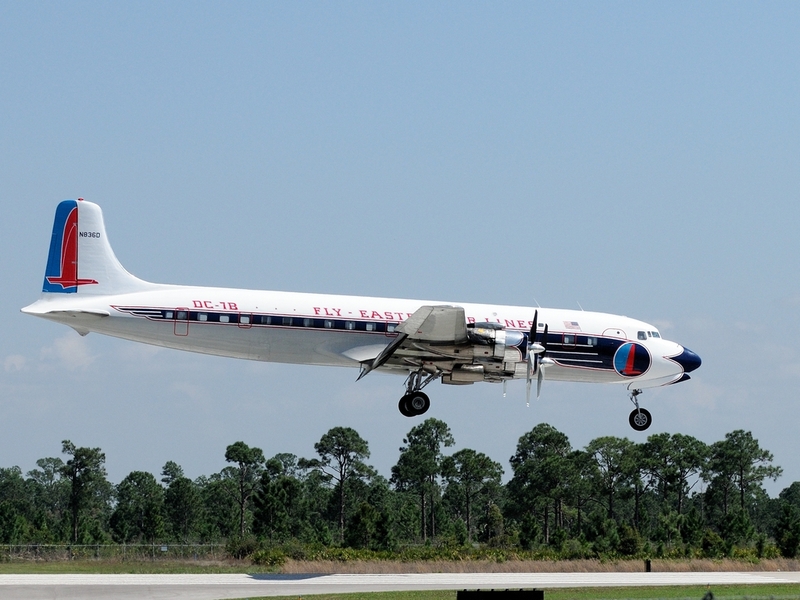 As soon as I got there, I noticed an old DC-7B in Eastern Airlines livery doing a visual check along the runway before making a landing. That gave me just enough time to get to one of my favorite spots to get this shot. 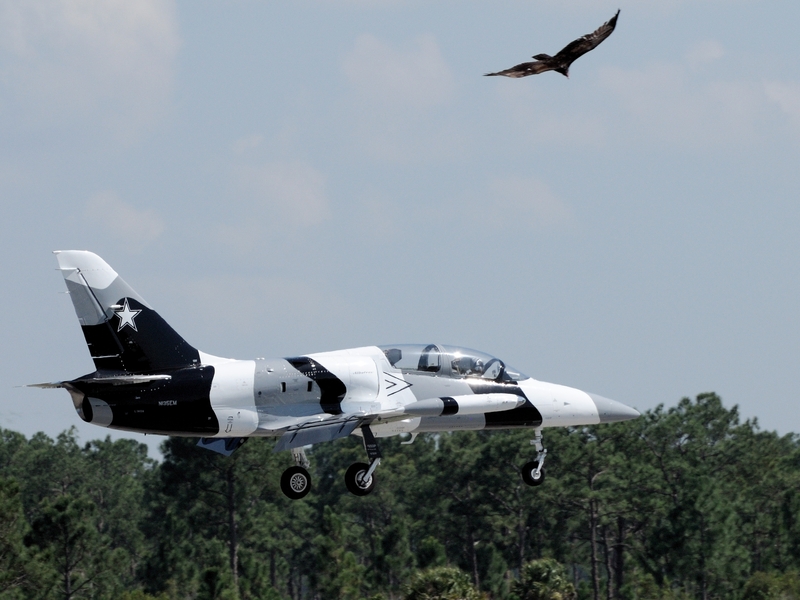 Once it landed, I heard jet engines spooling up and looked down the taxiway to see the Heavy Metal Jet Team rolling down to take off. Looks like their website isn’t up to date because I didn’t see the T-33 that is listed as one of their aircraft. 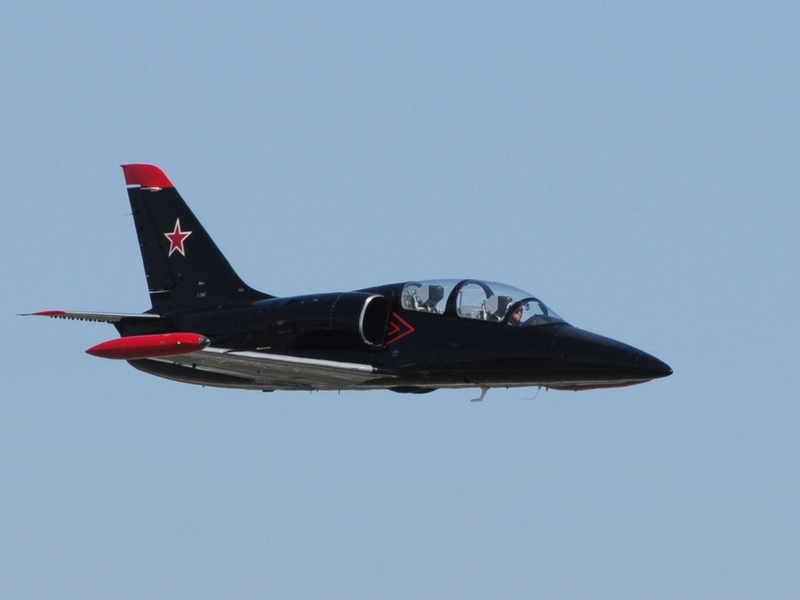 Instead, a new Aero L-39 showed up in a non-standard paint job. 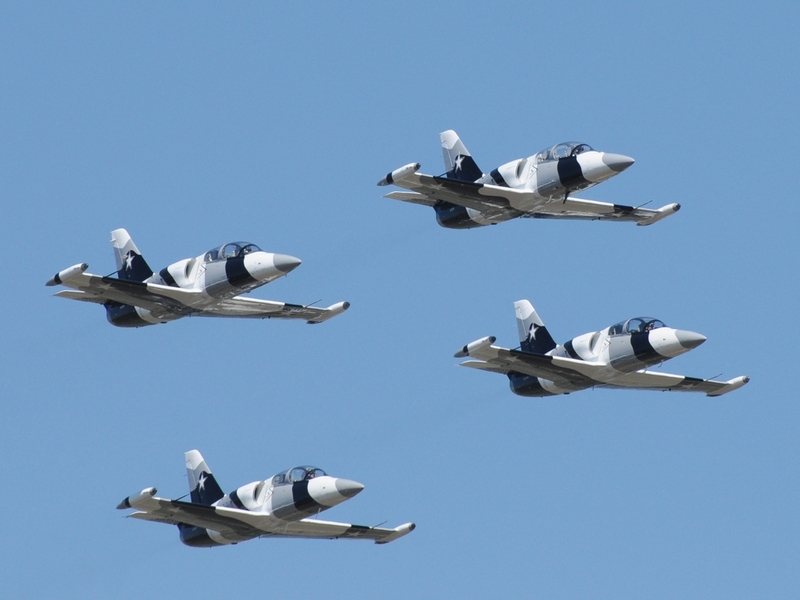 This one ran solo passes while another 4 L-39s did formation work. At the end, all formed up with the black one in the lead. Here are a couple of the formations. I stuck around until they ended the practice and noticed one of the local fliers looking pretty hopeful as one of them landed. Fortunately, he was disappointed by a safe landing.